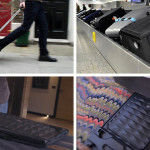 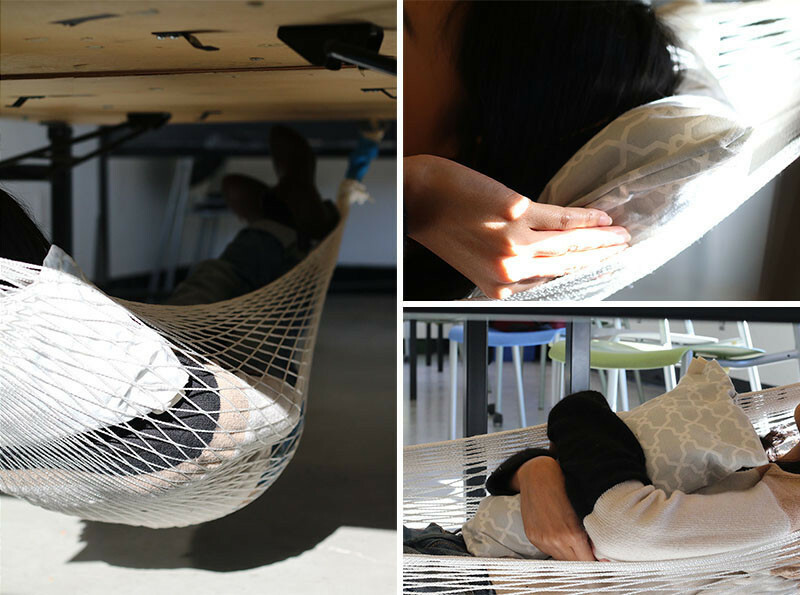 Aqil Raharjo, a second year design student at OCAD University in Toronto, Canada, has designed the perfect thing for when you need to take a quick nap at school or work. 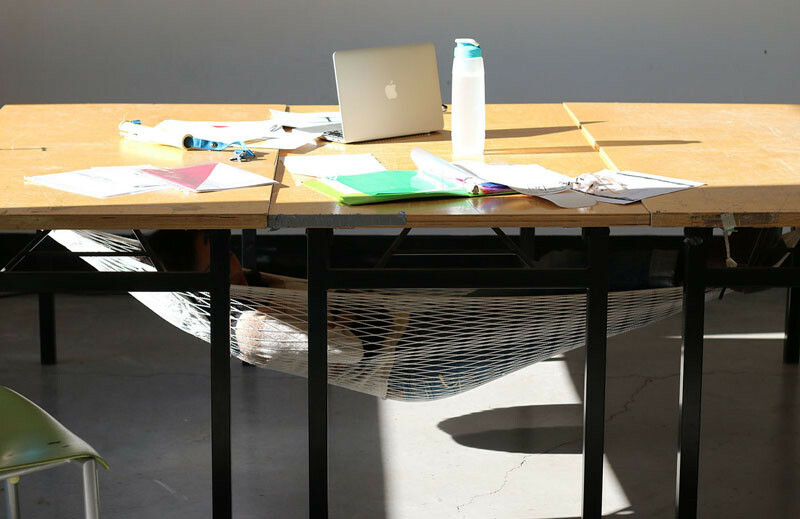 The idea to design a hammock came to him after watching his friends stay overnight at school to finish a project, but there wasn’t anywhere comfortable to sleep. 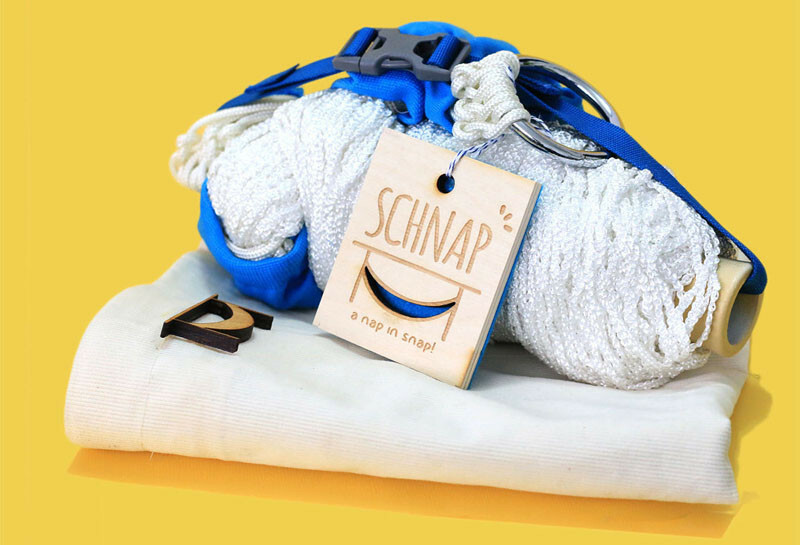 Taking inspiration from when little kids take naps at school, he designed Schnap, a hammock that can be easily installed under a desk or table. 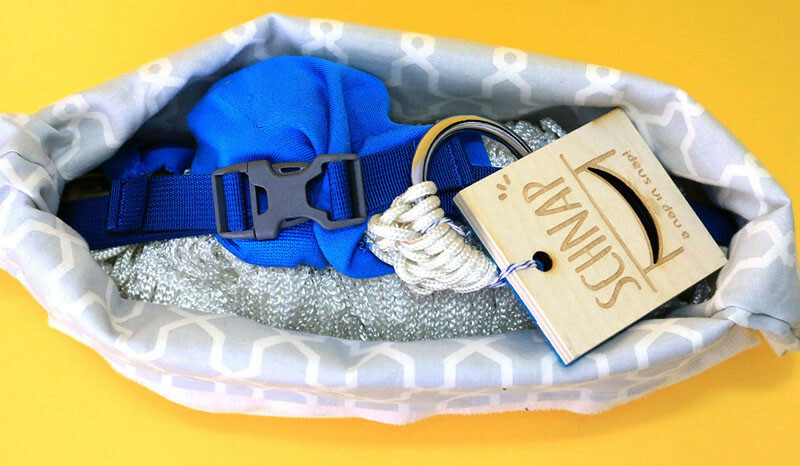 Schnap comes in a bag with a hammock, table protectors, and a couple of clamps. 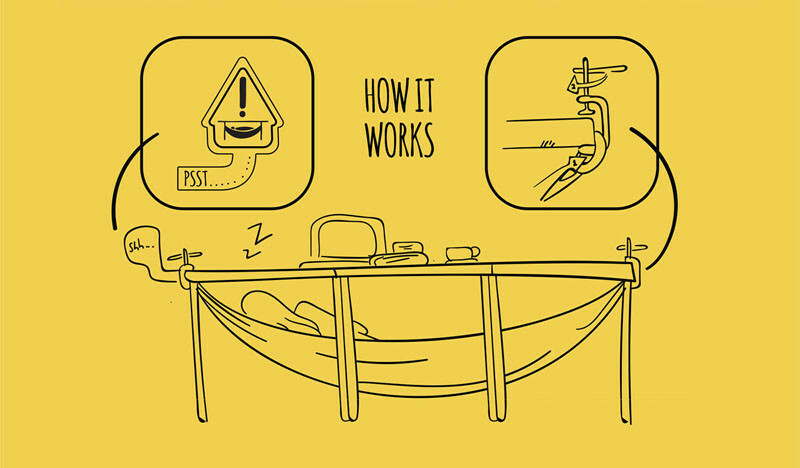 To use it, you simply hook the hammock onto the clamp, and then attach the clamps to the table. 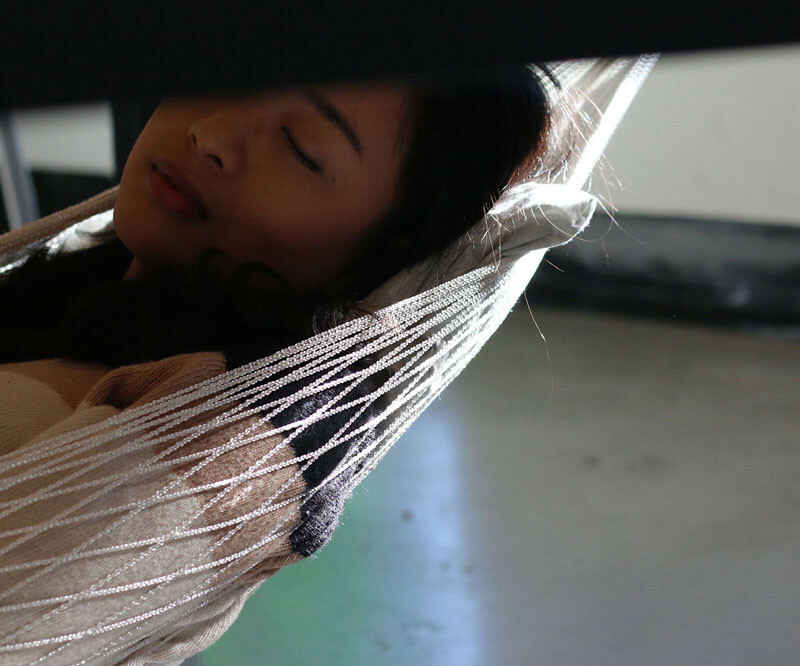 Once you’ve setup the hammock, you can fill the bag with something soft, like a sweater, to make it into a pillow. 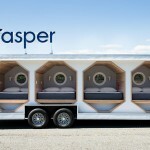 The final step is to climb in and have a nap.